A LETTER TO HIS DAD. Copyright, 1891, by H. Witmark & Sons. Words by William Collier. Music by Isidor Witmark. But even words cannot express how much I miss you, dad. These were the words that pleased the dear old man. Heading from his darling boy a letter to his dad. I'm writing now from my own home, and our baby's on my knee. 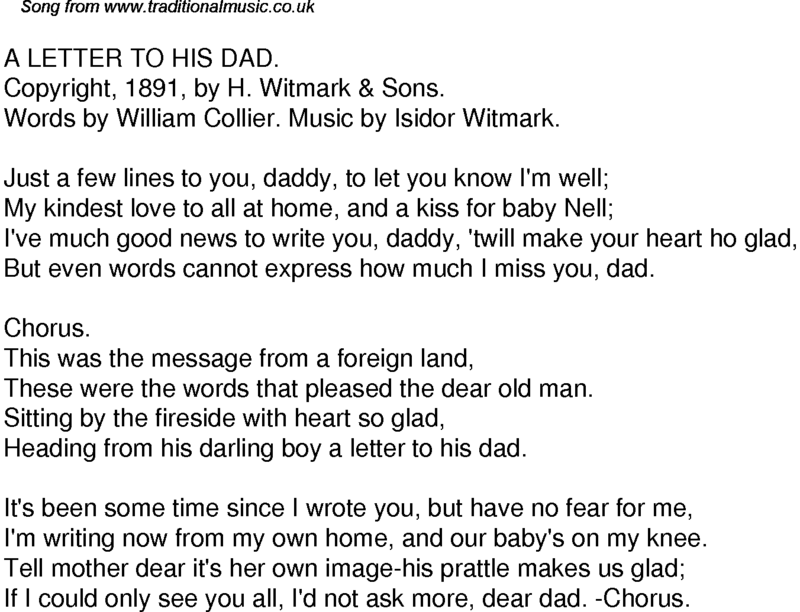 If I could only see you all, I'd not ask more, dear dad. -Chorus.